Bernard Lagat signed 10x8 inch photo. 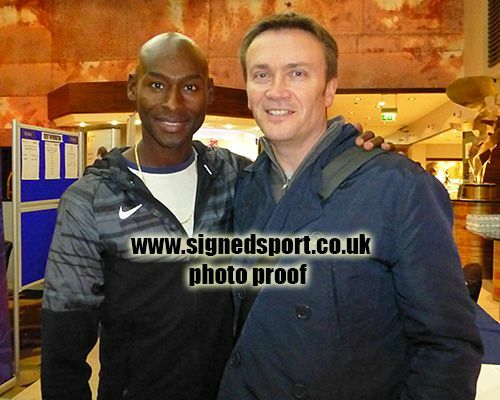 10x8 inch colour photo personally hand-signed in black sharpie pen by Kenyan-American track legend, Bernard Lagat. 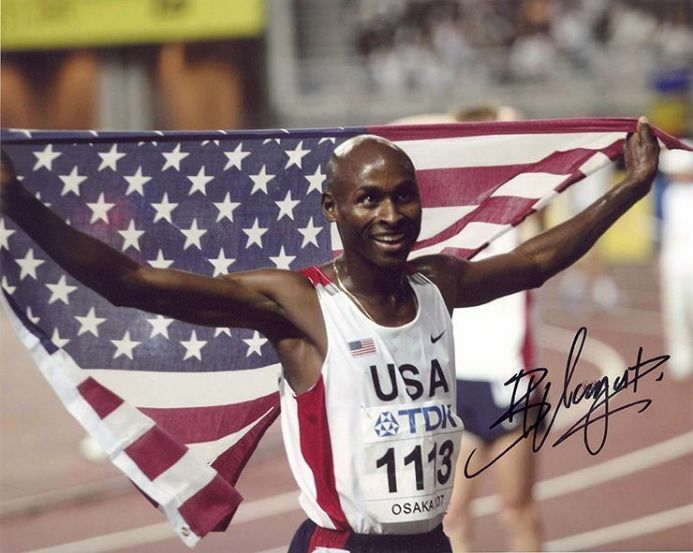 Lagat is a twelve time medalist in World Championships and Olympics including five gold medals. He represented his native country Kenya from 2000-2004 before switching to the United States. He is the American record holder in the 1500m and Mile indoors, as well as the 1500m, 3000m, and 5000m outdoors, and is the Kenyan record holder at 1500m outdoors.